This year I got an incredible opportunity to visit one of the most fascinating countries in the world. I call this tiny, land-locked nation fascinating not because of its unparalleled beauty, zesty culture or exotic wildlife. But solely for its sheer grit and determination to fight back to life and prove the world wrong - for its unshakable faith in itself and the power of humanity. In the last two decades, the people of this nation have been able to achieve what many others can only dream of. Today, its famously litter-free capital city is the face of multi-faceted development despite being reduced to a rubble of corpses just twenty years ago. It is the safest country for women in Africa with women outnumbering men in the Parliament. Believe it or not, corruption is rare in this spectacularly clean land of a thousand hills that has banned plastic bags altogether. I am deeply grateful for having been able to personally decode the "Remarkable" in Remarkable Rwanda! On the eve of the 13th Kwita Izina (Gorilla Naming Ceremony), Rwanda Development Board in collaboration with the Rwanda Tourism Chamber, organized a ten day familiarization tour of the country for select travel operators from across the globe. I had the privilege of participating in this tour as a representative of The Kiwi Vacations, a burgeoning Package Holidays portal with sales offices in Kuwait, India and the USA. I flew from Mumbai to Kigali by the Rwandan national airline Rwandair on the 23rd of August 2017. My e-visa was stamped at the immigration desk upon payment of a nominal fee of 30 dollars and I stepped out of the airport before daylight crept in. Catherine, the General Manager of Jambo Tours, our associate in Rwanda, was already there with her handyman Karim, beaming from ear to ear as she extended the warmest welcome. I had arrived a day early to allow some time to prepare myself for the ten day adventure that lay ahead. I checked into Kigali Serena, the oldest five star hotel in the nation offering award winning service and featuring one of the best restaurants in the city. Sampling some of the traditional cuisine from the well-stocked buffet meals and shopping for traditional Rwandan artifacts from the local market, my first day in Kigali was well-spent. The others in our group arrived the next day and I moved to The Marriott, just a few blocks away from Serena. Marriott is one of the newer entrants capitalizing on the enormous development and tourism potential in the country. The tour commenced on 25th morning under the able leadership of RDB executives Peter and Annie, with a road-trip through the scenic villages of Rwanda - from Kigali to Akagera National Park along the Tanzanian border in the East. We were a big team of about 25 tour operators from around the world split into groups and accommodated in a fleet of safari vehicles. Needless to say, the organizers took great care to ensure everything went according to plan. Akagera is the largest protected wetland in Central Africa and the only Big 5 Park in Rwanda with exceptional biodiversity ranging from highlands and swamps to savannah grasslands and forest-fringed lakes. Home to more than 12,000 mammals and 482 bird species, it is an important source of tourism revenue and a means of livelihood for neighboring communities. Adversely hit by the genocide of 1994, the management of the park was handed over to African Parks, a not-for-profit organization that works with governments in the areas of conservation, tourism development, community engagement and infrastructure creation. Once a wildlife haven, the park suffered irrecoverable losses during the genocide and is currently being restored to its past glory through the concentrated efforts of African Parks and Rwanda Development Board. With the introduction of South African lions in 2015 and the Eastern black rhinos in 2017, Akagera reclaimed its status of being one of the Big 5 parks in Africa. We got a night's rest at Akagera Game Lodge before embarking on the big game drive through the park. Starting out on a low note, the drive soon turned into a spine-tingling adventure when the notorious elephant who had kicked a safari vehicle into the unfathomable depths of Lake Ihema just two days prior to our arrival, forced us to retreat into the bushes to let him pass. We spotted a lion and his lioness, a honeymooning couple, peacefully soak in the shade of a lone tree in a sparse land. Zebras, giraffes, topi deer, cape buffaloes, water-bucks, baboons, impalas and warthogs provided the extra kick making it a helluva wild safari, making it truly unforgettable. 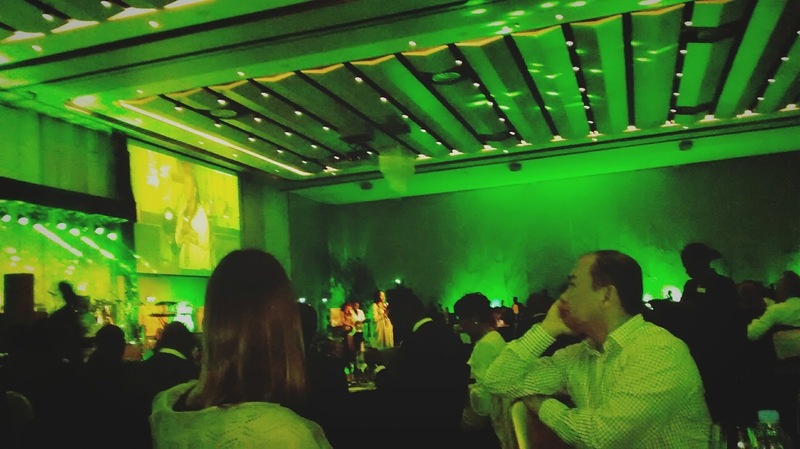 By dusk, we were back in Kigali for the Kwita Izina Gala Dinner at Kigali Convention Center adjacent to the Radisson Blu Hotel. The evening was fun and relaxed with live music, charity auctions, food and drinks. A city tour was organized the next day with a visit to the Genocide Memorial painting a graphical narrative of the dark past of Rwanda. It was followed by a sumptuous lunch sporting an Indian menu at Ubumwe Grand Hotel, another noted luxury property offering panoramic views of Mount Kigali and the cityscape. Dinner was hosted by a hugely popular boutique restaurant called Heaven, which has a whole book dedicated to itself. A Thousand Hills to Heaven is an enrapturing read about the genesis of this restaurant and the story of its founders Josh Ruxin and Alissa, an enterprising couple and public health stalwarts from New York who came to Rwanda in search of meaning and adventure right after they tied the knot. Every detail about this country is riveting and awe-inspiring in its own right, with a mysterious anecdote, a heart-wrenching tale or the outlandish streak so characteristic of Africa, deeply entrenched into its many folds. The Kwita Izina Conversation on Conservation at the Kigali Conference and Exhibition Village was the highlight of the fourth day, raising some pertinent questions on wildlife conservation in Africa and providing a top notch forum to discuss the best practices in the field. The B2B meetings culminated in a networking cocktail at The Marriot. We were soon back on the road, this time headed for the Nyungwe National Park in the South-West of Rwanda, bordering Burundi and the Democratic Republic of Congo. En route we stopped at the Royal Palace Museum where the heritage homes of royalty are preserved until today as a tribute to the rich legacy and cultural abundance of a land lost in the pain of bloodshed. 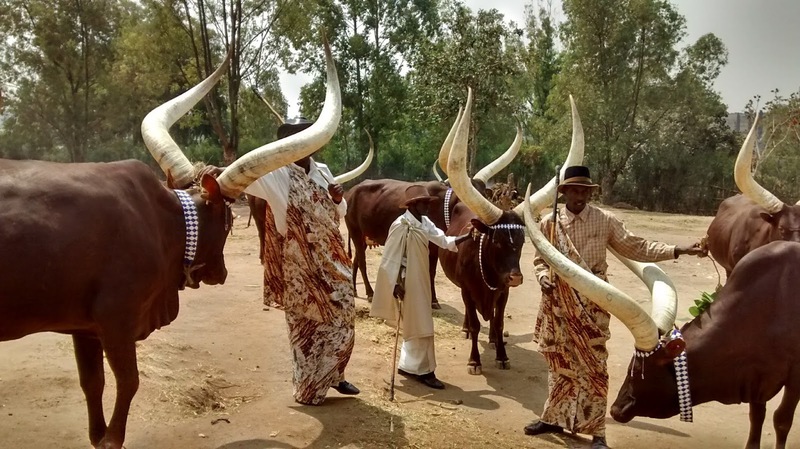 The long-horned cows called the Inyambo raised in the palace grounds have a prominent position in the traditional Rwandese society as a symbol of power, wealth and friendship. The national dance called Intore has some interesting moves inspired by the curvaceous horns of the Inyambo. Nyungwe National Park established in 2004 is one of the best preserved montane rain-forests in Africa with a dense canopy and a wide diversity of animal and plant species including chimpanzees and golden monkeys. On arrival, we were briefed about the park and guided on a hiking trail to the Canopy Walkway spanning 90 metres in length and 50 metres in height. That moment when you are precariously balanced on a hanging bridge, engulfed by the cryptic whispers of the jungle and invigorated by sweet mountain air - that moment when twirling orchids and flitting butterflies overpower your senses - that moment when you are in the center of a parallel universe with towering ebonies and giant ferns encompassing your being from high above and deep below - , well, that moment is what travel is all about and you have to be there to experience it. Words fall short as time freezes and that instant stays alive in the recesses of your heart for many, many years to come. That night, an exclusive dinner was arranged for us at Emeraude Kivu Resort with the accompaniment of live tribal music and dance performances. Local women exhibited their hand-woven creations - Rwandan peace baskets in variegated hues and designs. We halted for the night at Peace Guest House overlooking the mesmerizing waters of Lake Kivu. Sipping on exquisitely flavored Rwandan coffee in the lawns perched above the hills bordering Lake Kivu was the perfect way to start a beautiful day of cruising. We drove past undulating tea plantations glistening in the morning sun to the northern most point of the lake in Rubavu. Post lunch, we set out on a long and unhurried boat cruise, chilling on the open deck with bottles of beer, reminiscing about the best moments of the trip and sending positive vibes into the universe. Steve Venton, Director of Kingfisher Kayaking Journeys briefed us about his niche venture for the thrill-seekers who might be interested in kayaking and canoeing on the waters of the Kivu, exploring lakeside flora and fauna or/and camping in the villages adjoining the lake. We got to the shore at Gisenyi after sundown and checked into Kivu Serena, a plush resort offering poolside dining and folk art performances. The big day had finally arrived. The capstone of any Rwandan adventure - Gorilla Trekking on the slopes of the Virunga Volcanoes, was awaiting us. Priced at $1500, it is indeed an expensive activity and not everyone can afford it. But the good news is that all of this money is put to great use, with the funds fueling conservation efforts and the welfare of the local communities. We set out at half past five in the morning with packed breakfast and arrived at Volcanoes National Park at about seven. Home to five of the eight volcanoes of Virunga Mountains, the Park is inhabited by the rare and critically endangered mountain gorillas that caught the fancy of the legendary researcher, Dian Fossey. Split into teams of eight, we were allotted a gorilla family each and a trained guide to help us track them. My team tracked the Susa family which included one of the babies that was going to be named at the Kwita Izina finale the following morning. We were accompanied by porters who offered to carry our belongings while we trekked. They were ex-poachers being encouraged to earn a respectable living by feeding on the tourism potential in the region. Hiking through dense bamboo forests in the greater heights of the volcanic mountains, we eventually got to the location where the Susa family ranged during the time. The next one hour was pure exhilaration - getting to observe one of the most amazing creatures on the planet at such close quarters was overwhelming. Gorillas share 98% of our DNA and if you watch them closely you will know why. We were in a fix, unable to decide whether to simply keep watching their amusing antics or capture every detail on the cameras that hung around our necks. At the end of the trek, each of us was awarded a certificate recognizing our participation in the gorilla trekking activity. We had one of the best lunches that afternoon at Five Volcanoes Boutique Hotel before reclining to our respective lodges. A farewell bush dinner was organized at Mountain Gorilla View Lodge with bonfire, dancing and drinking. The trip was coming to a close and I felt a surge of emotions bubbling inside of me as I retreated to my luxurious bed at the rustic Da Vinci Gorilla Lodge that night. Kwita Izina 2017 - the much anticipated finale of the tour was just a few hours away. It was going to be a long and busy day at the end of which I'd be on a plane back to my homeland. At the headquarters of the Volcanoes National Park in Kinigi, a whole district had gathered to honor the gorilla conservation efforts and the local communities thriving on them. The 13th staging of Kwita Izina saw the presence of international celebrities, conservationists and other eminent personalities from diverse sectors apart from media representatives and tour operators like us. Conceived on the lines of the Rwandan tradition of naming babies, Kwita Izina brought together thousands of Rwandans and friends of Rwanda to join in the celebration of the birth of baby gorillas, simultaneously raising awareness about this critical issue on an international platform. Naming a gorilla baby is considered a distinguished privilege and honor. The namers, chosen based on their contribution to the conservation efforts, were introduced one by one before they revealed the names of the gorilla babies. Every name carried deep and significant messages to the conservation circles around the globe. Paul Kagame, the President of Rwanda and the revolutionary military commander of the Rwandan Patriotic Front - the rebel force that ended the 1994 Genocide, graced the occasion with his presence. The rhapsodic crowd grooved to the rhythmic beats of Rwandan music, enthusiastically waving paper flags high up in the air. The ceremony which ended with a rendition of the Rwandan national anthem, was followed by a celebratory feast attended by all the dignitaries. Soon after, I drove back to Kigali to get to the airport in time for my midnight flight. I caught up with Catherine for a final dinner at a boutique restaurant known as The Hut before boarding my plane to Mumbai. As the saying goes, people don't take trips, trips take people and that's exactly what transpired in my case. Never in my wildest dreams had I imagined visiting Rwanda, yet it happened to me in the most unexpected of ways, changing me in a myriad ways and opening my eyes to a world I never knew existed.